This or That–Matthew 24 Fulfilled? In Matthew 24:34, Jesus declares, “[T]his generation shall not pass” until a series of events transpire–including the second coming. Did Jesus mean “this generation will not pass away” or “that generation shall not pass away,” was Matthew 24 fulfilled in the first century? Two first century Roman historians record a supernatural event that was seen in the sky at the start of the Jewish War with Rome, in A.D. 66, that appears to fulfill Biblical prophecy concerning the second coming. Almost immediately thereafter, the Roman Historian Cassius Dio records a mass vision of a multitude of spiritual bodies coming out of the earth at the sound of a trumpet in what appears to be a literal resurrection of the dead that same year in fulfillment of Matthew 24:31. These two events marked the start of the worst war Israel ever faced. As a result of this war, the Roman army worshipped the beast and his image on the ensigns within the Temple and then destroyed it in A.D. 70 such that “not one stone [was] left on another” in fulfillment of Matthew 24:2 and Matthew 24:15. Around this time, the saints, including the disciples, were martyred in Jerusalem and Rome; the sun and moon were darkened; many false messiahs and false prophets appeared; and there were earthquakes, famines, wars and rumors of wars. Jesus was right. “This [first century] generation [did] not pass until all” the predictions in this chapter literally occurred! For a detailed explanation of the historical events that fulfill seemingly every detail of every prediction in this chapter see the following commentary on Matthew 24. Nothing could be further from the truth. Though C.S. Lewis was a great Christian apologist, his words are more suitably applied to himself: “And he was wrong. He clearly knew no more about the end of the world than anyone else.” In fact, the historical fulfillment of the predictions concerning the second coming and the end of the age are, arguably, the strongest evidence in favor of the divine inspiration of the Bible. Jesus’ prediction about the time of His return referred to by C.S. Lewis above is found in this chapter. In Matthew 24, Jesus warned of impending disaster that would result in the destruction of Jerusalem, the Temple and the loss of the lives of His disciples. Amid these catastrophes, Jesus promised to return to herald the kingdom of God on earth. Biblical scholars see the persecution of Acts 8:1-3, the Neronic persecution, and subsequent fall of Jerusalem during the Jewish War as the intended fulfillment of these prophecies. The dilemma that C.S. Lewis refers to is the fact that amidst the subsequent fulfillment of all these events throughout the course of that generation, Jesus never returned—or did He? 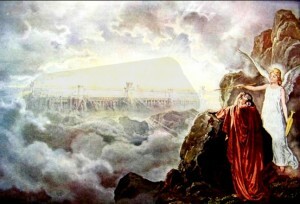 An artistic depiction of the army in the clouds in A.D. 66. Fulfilled! Matthew 24 Explained: The Second Coming is recorded in the Histories of Two First Century Historians. Fulfilled! A Realized Eschatological View and Preterist Commentary of Matthew 24:2: In A.D. 70 the Romans Destroyed the Temple literally leaving no Stone on Another. If you, even you, had known on this day what would bring you peace—but now it is hidden from your eyes. The days will come upon you when your enemies will build an embankment against you and encircle you and hem you in on every side. They will dash you to the ground, you and your children within your walls. They will not leave one stone on another, because you did not recognize the time of God’s coming to you. 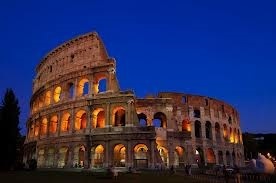 The Roman Colosseum is said to be built from the stones of the Jewish Temple–hence no stone was left on another. 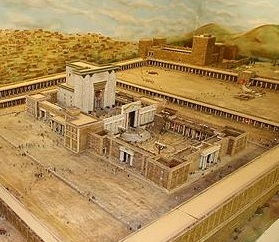 Model of the temple that was destroyed in A.D. 70. Fulfilled! Preterist View, Interpretation and Commentary of the End Times and Matthew 24:3: “The End of the Age” is the Generation that witnessed the Fulfillment of the Law and the Prophets. 4Jesus answered: “Watch out that no one deceives you. 5For many will come in my name, claiming, ‘I am the Christ,’ and will deceive many. 6You will hear of wars and rumors of wars, but see to it that you are not alarmed. Such things must happen, but the end is still to come. 7Nation will rise against nation, and kingdom against kingdom. A bust of Nero Caesar. After Nero committed suicide, Rome collapsed into civil war. Fulfilled! 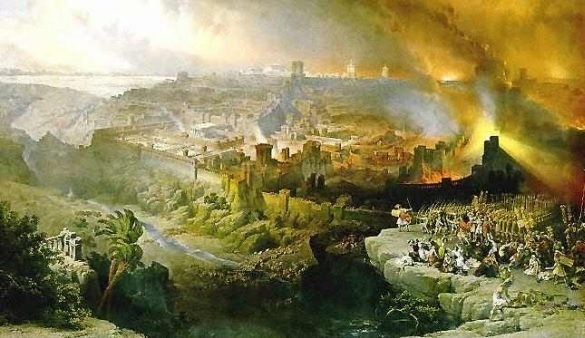 Matthew 24:6 Preterist Commentary: The Peace of Rome was Broken during the Reign of Nero. 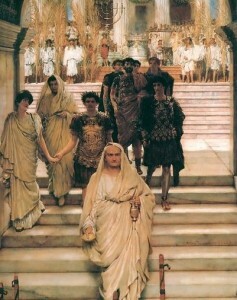 “Augustus’ inauguration of an Age of Peace at the Ludi Saeculares in 17 B.C. (Horace Carmen saeculare) was not an empty gesture. 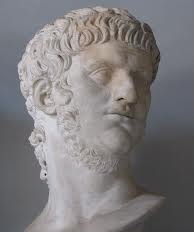 In the Roman Empire proper, this period of peace remained comparatively undisturbed until the time of Nero.”5 During Nero’s reign Rome went to war with the Parthians, there was a war in Britain and various other rebellious disturbances across the empire. All these uprisings and wars immediately preceded the Jewish War in fulfillment of vs. 6-7. There will be famines and earthquakes in various places. 8All these are the beginning of birth pains. Fulfilled! A Full Preterist View and Commentary of Matthew 24:7: Earthquakes and Famines in the First Century . . .
Preterism, Matthew 24:9 Explained: Christians were persecuted and killed in Jerusalem after Jesus’ Crucifixion. Fulfilled! Matthew 24:9-10 Preterist Bible Commentary: Rome also killed Christians in A.D. 64. These Christians were betrayed by other Christians in fulfillment of v. 10: “At that Time many will turn away from the Faith and will betray and hate Each Other.” The Disciples were Martyred. Fulfilled! Preterist Interpretation, Exposition and Commentary of Matthew 24:11: Many People were bribed to act as Prophets declaring Victory to the Jews during the Jewish War. 12Because of the increase of wickedness, the love of most will grow cold, 13but he who stands firm to the end will be saved. Fulfilled! Matthew 24:12 Commentary: The Most Wicked Generation . . .
14And this gospel of the kingdom will be preached in the whole world as a testimony to all nations, and then the end will come. Before the end, Jesus claimed that the gospel would be preached throughout the earth. In Colossians 1:23, Paul alludes to the fulfillment of this prediction by saying, “This is the gospel that you heard and that has been proclaimed to every creature under heaven[. ]” (Colossians 1:23.) Approximately six years after Paul’s death, the end had come. 15“So when you see standing in the holy place ‘the abomination that causes desolation,’ spoken of through the prophet Daniel—let the reader understand—16then let those who are in Judea flee to the mountains. 17Let no one on the roof of his house go down to take anything out of the house. 18Let no one in the field go back to get his cloak. 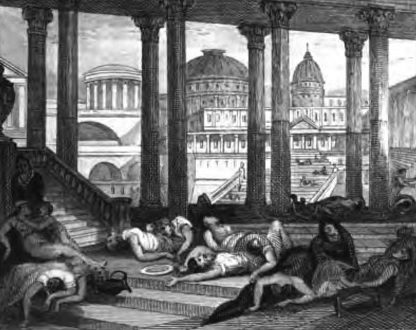 After the Romans worshiped the image of Vespasian in the Jewish Temple, Titus ordered the Romans to slaughter all the people left in Jerusalem. Fulfilled! A Preterist View and Commentary of Matthew 24:15: The Abomination that Causes Desolation Fulfilled! The Olivet Discourse described in Matthew 24 is also found in Luke 21. Luke 21:20-21 records Jesus’ prediction in Matthew 24:15-18 slightly differently: “When you see Jerusalem being surrounded by armies, you will know that its desolation is near. Then let those who are in Judea flee to the mountains, let those in the city get out, and let those in the country not enter the city.” Notice that instead of saying, “So when you see standing in the holy place ‘the abomination that causes desolation,’” Luke 21:20 records Jesus saying, “When you see Jerusalem being surrounded by armies, you will know that its desolation is near.” In Luke 21:20, instead of saying “abomination that causes desolation,” Luke appears to define this term as armies that cause desolation. Roman legions and their various ensigns. Graven images, idols and foreign gods are an abomination according to the Law of Moses. The Roman army always carried its ensigns wherever it went. These ensigns were military standards. The main ensign, the Aquila, was an idol of Aquila, the messenger of Jupiter that carried Jupiter’s lightning bolt to the Titans during the war between the gods and the Titans. The Aquila was also a symbol of Rome itself. There was also an ensign called the Imago which was a three-dimensional image of Caesar which looked like a large Roman coin. These ensigns were worshiped by the Roman military and thus were more than just military standards—they were also idols. Therefore, the Roman army with their idols of Jupiter, Caesar and Rome on the ensigns would have been considered an abomination according to the Law of Moses. The Roman army is called the abomination that causes desolation because this abominable army literally caused the desolation of Israel during the Jewish War. 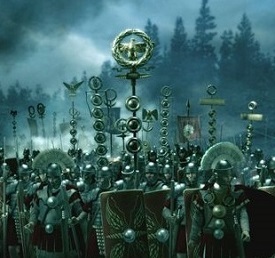 Roman army with their ensigns. The Imago (Image). The ensign called the Imago or numina legionum (meaning “gods of the legions”) would have contained the image of the beast, Caesar Vespasian and/or Titus. This image of the emperor was worshiped in the Temple in A.D. 70! In Luke 21:20, Jesus declared, “When you see Jerusalem being surrounded by armies, you will know that its desolation is near.” In fulfillment of Luke 21:20-21 and Matthew 24:15, the Roman army surrounded Jerusalem on three separate occasions during the Jewish War. The first time was at the very beginning of the revolt. 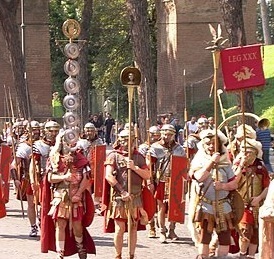 In the middle of Iyyar of A.D. 66, the Procurator Gessius Florus entered the holy city with the Roman army and killed 3,600 people in the Upper Marketplace of Jerusalem.21 This slaughter occurred just a couple days before the miraculous army was seen in the clouds on the 21st of Iyyar of A.D. 66. The next occasion was during the Feast of Tabernacles of A.D. 66 when Cestius briefly besieged Jerusalem with the 12th Legion before mysteriously departing shortly thereafter.22 The final time in which the Roman army surrounded Jerusalem during the Jewish War was in A.D. 70 just before the fall of the city under Caesar Titus. As warned in Luke 21:20-21, the presence of the Roman army and its ensigns (the abomination that causes desolation) outside of Jerusalem in Iyyar of A.D. 66 under Florus and perhaps later in Tishri of A.D. 66 under Cestius was a sign to the Christians in Jerusalem to flee the city. The great slaughter at the Upper Marketplace upon Florus’ entry into Jerusalem in Iyyar of A.D. 66 was the reason Jesus urged His people to immediately flee to the mountains in Matthew 24:16-18. The same might be said concerning Cestius’ arrival at Jerusalem. After Cestius withdrew from the city, civil war and uprisings subsequently caused a catastrophic death toll in Jerusalem even before the arrival of Titus in A.D. 70. The violence following the times in which the Roman army arrived outside of Jerusalem under Florus and Cestius in A.D. 66 appears to be the reason Jesus warned His people in Matthew 24:16-18 and Luke 21:21 to immediately drop everything and flee the city after seeing this sign. I believe Christians seeing these armies outside of Jerusalem began to flee in Iyyar of A.D. 66 when seeing Florus’ army outside of Jerusalem while the rest fled in Tishri after seeing the Romans again surround Jerusalem under Cestius later that year. The people of the ruler who will come will destroy the city and the sanctuary. The end will come like a flood: War will continue until the end, and desolations have been decreed. He will confirm a covenant with many for one ‘seven.’ In the middle of the ‘seven’ he will put an end to sacrifice and offering. And on a wing of the temple he will set up an abomination that causes desolation, until the end that is decreed is poured out on him. Notice that the abomination that causes desolation is depicted within the Temple, the holy place, in Daniel 9:27. Also notice that the abomination that causes desolation is set up by the people of “the ruler who will come.” “The ruler who will come” is sometimes translated prince. Caesar Titus; the son of Vespasian, the emperor of Rome; is the prince predicted in these verses as he was the emperor’s firstborn son and had already been named his father’s successor at that time. The seven mentioned in Daniel 9:26-27 refers to the Jewish War itself which lasted approximately seven years from Iyyar of A.D. 66 to the fall of Masada on Passover of A.D. 74. Half way through this war Titus destroyed the Temple on the 9th of Av of A.D. 70 which permanently put an end to “sacrifice and offering.” And on that same day the Romans under Titus’ leadership set up their idolatrous ensigns on the eastern wing of the Temple and worshipped them there fulfilling the rest of v. 27. Immediately after the Romans worshipped these idols in the Temple Titus ordered his army to kill everyone left in the city. Here one might see why Jesus warned His people to quickly flee Jerusalem in Matthew 24:15-22. However, if Matthew records Jesus saying that the saints were to flee Jerusalem when they saw the Romans, the abomination that causes desolation, standing in the Temple, then this raises some historical problems as well as Biblical incongruencies. One potential historical problem with this view is that before the Romans seized the Temple, they built a wall around Jerusalem in order to prevent people from entering or leaving the city during the siege.25 Another historical objection to the above view is that the scourge of the Jewish War was nearly over at this time, though it should be noted that the Jewish War did not officially end until the fall of Masada on Passover of A.D. 74. Similarly, if Jesus instructed His people to flee when the Romans stood in the Temple, this idea is chronologically inconsistent with Luke 21:20 at best and contradictory at its worst. Recall as stated above, Luke 21:20 is the synoptic equivalent of Matthew 24:15. Instead of saying, “So when you see standing in the holy place ‘the abomination that causes desolation,’” Luke 21:20 reads, “When you see Jerusalem being surrounded by armies, you will know that its desolation is near.” Thus immediately prior to warning His people to drop everything and leave Jerusalem in Matthew 24 and Luke 21, Jesus appears to tell His followers to flee when they see the Romans standing in the Temple in Matthew 24:15 whereas in Luke 21:20 Jesus says to escape as soon as they see Jerusalem surrounded by armies. The Temple was inside the city. Thus Jesus appears to be contradicting Himself. Were the people of Jerusalem to flee when they see the Romans outside the city as stated in Luke 21:20 or were they to leave when these soldiers were already well inside Jerusalem according to Matthew 24:15? The Romans surrounded Jerusalem on three separate occasions during the Jewish revolt and it wasn’t until approximately four or five months after surrounding the city on the very last occasion that these soldiers were finally able to break through the city walls and stand in the Temple, an event which occurred on the 9th of Av of A.D. 70. And at that time the siege was nearly over and the Romans erected a wall around Jerusalem to prevent people from escaping the city thus it would appear to be too late to depart at that time. Thus if the people of Jerusalem were to flee when they see the Roman armies in the Temple, this interpretation places Matthew 24:15 and Luke 21:20 months or even years apart as well as in different places, outside the city and inside the city. Matthew 24:15-16 again. The NIV quoted above has taken some interpretive liberties in its translation of v. 15. A literal translation of the Greek actually reads, “When therefore you shall see the abomination of desolation which having been spoken of by Daniel the prophet standing in the holy place the one reading let him understand then those in Judea let them flee to the mountains.” Notice that Matthew 24:15 does not necessarily contradict Luke 21:20 when read literally. Of course it is possible that Matthew intended to tell his audience to flee Jerusalem when they see the abomination that causes desolation standing in the Temple, but it seems more likely from the way in which this v. is truly worded that Matthew just intended to tell his readers to flee Jerusalem when they first see the abomination that causes desolation in general in light of the fact that this is what is stated in Luke 21:20. Thus I believe the fact that the abomination that causes desolation is said to stand in the holy place as indicated by the prophet Daniel is intended as a parenthetical statement inserted in the middle of the sentence to help the reader understand that this is the same entity that would ultimately stand in the Temple as mentioned in Daniel 9:27, but not necessarily at the time in which they should flee. Notice that when Matthew 24:15 is interpreted most literally it is entirely unclear as to whether Matthew is telling his readers to flee when they see the abomination standing in the temple or when they first see the abomination that causes desolation in general. Matthew’s intended meaning all depends upon whether or not Matthew intended part of this verse to be a parenthetical statement or not: “When therefore you shall see the abomination of desolation which having been spoken of by Daniel the prophet standing in the holy place the one reading let him understand then those in Judea let them flee to the mountains [emphasis mine].” If the bold portion of v. 15 was intended by Matthew to be a parenthetical statement (and there is no way to know from the Greek alone) then the meaning of the text changes to align more closely with Luke 21:20 where Jesus tells His people to flee when then see armies, the abomination of desolation, surround Jerusalem: “When therefore you shall see the abomination of desolation (which having been spoken of by Daniel the prophet standing in the holy place the one reading let him understand) then those in Judea let them flee to the mountains [emphasis mine].” In other words that portion of v. 15 that says that the abomination of desolation would stand in the Temple appears to be a parenthetical statement intended to be separated by commas or placed in parenthesis as it appears to me to be an explanatory insert added in order to call the reader’s attention to the fact that this is the same being mentioned in Daniel 9:26-27. This text appears to me to have been spoken by Jesus or inserted into Jesus’ discourse so as to help readers link the abomination that causes desolation spoken of by Jesus’ with Daniel 9:27 rather than telling its readers to flee when they see this entity in the Temple.26 See Could the Abomination that Causes Desolation be Murder in the Temple? 19How dreadful it will be in those days for pregnant women and nursing mothers! Explained! Matthew 24:19 Preterist Commentary: Afflicted by Famine, a Woman ate her Child during the Siege of Jerusalem. Daughters of Jerusalem, do not weep for me; weep for yourselves and for your children. For the time will come when you will say, ‘Blessed are the barren women, the wombs that never bore and the breasts that never nursed! Then “they will say to the mountains, ‘Fall on us!’ and to the hills, ‘Cover us!’” For if men do these things [referring to his crucifixion] when the tree is green, what will happen when it is dry (Luke 23:28-31)? The siege of Jerusalem in A.D. 70 induced a famine within the city resulting in catastrophic loss of life. During this siege a woman ate her own child fulfilling Matthew 24:19. 20Pray that your flight will not take place in winter or on the Sabbath. 21For then there will be great distress, unequaled from the beginning of the world until now—and never to be equaled again. Realized Eschatology–Matthew 24:21 Preterist Commentary: Verse 21 is addressed to Israelites. Jesus was Right. The Jewish War was the worst War Israel ever faced even to this Day. Matthew 24:21 Explained, A Preterist View and Commentary: What about World War 2? Matthew 24:21 is often used as evidence against preterism. The unequalled distress of v. 21 is often interpreted by futurists to mean that there is to be a global cataclysm worse than any ever before including the flood of Genesis. However, if it was a global catastrophe worse than any ever inflicted on men in which the whole world was destroyed, why would Jesus tell the people of Judah to flee to the mountains (v. 16)? Fleeing to the mountains would not have even saved someone from the flood of Genesis (assuming Noah’s flood was literal and global) since these flood waters covered all the mountains (Genesis 7:19). Along these same lines, critics allege that World War 2 was a worse tragedy than the Jewish War. Therefore, Matthew 24 must be referring to a future catastrophe. This argument is a very weak one for a few reasons. First of all this argument assumes that Jesus is speaking on a global scale. We must consider audience relevance here. Who was Jesus’ audience? The gospels record Jesus exclusively preaching in and around Israel. Jesus spoke these words to Israelites, and therefore, this statement should not be assumed to be applicable world-wide. In other words, Jesus spoke these words exclusively to the people of Israel, not German Jews or anyone else. In v.21, Jesus accurately predicts that the coming war with Rome will be the worst tragedy that Israel will ever face. This fact was true then and is still true today. 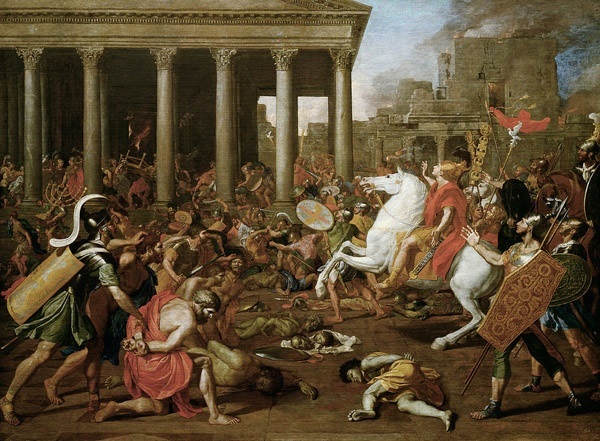 Having occurred at the time of the end and representing the culmination of the Law and the Prophets, the Jewish war with Rome is arguably the most tragic event of the Mosaic Age. It should also be noted that the “great distress” of those days was not limited to the ravages of the siege of Jerusalem or the catastrophic death toll throughout the war. 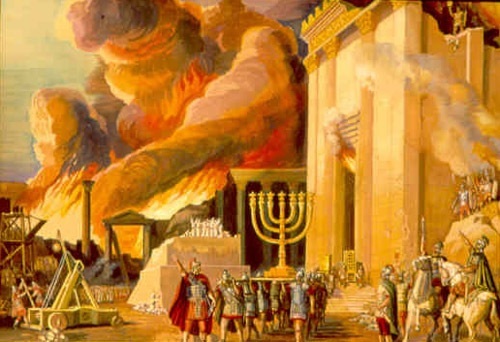 Much of the “great distress” mentioned in v. 21 centered on the destruction of the Temple.31 The temple in Jerusalem was the cornerstone of the Jewish religion and the source of the city’s great wealth. Revelation 18 chronicles the great distress of the city’s many wealthy priests and merchants who owed their fortunes to the Temple. The Temple was also the center of the Jewish religion. Among the poorer and perhaps more spiritual Jews the destruction of the Temple sent a distressing message that God had rejected His people or perhaps did not exist at all. Interestingly, even if Jesus was speaking on a global scale, the fact that World War 2 was a more tragic war than the Jewish War would still not invalidate the preterist interpretation of Matthew 24. This is because the Bible often employs hyperbole for emphasis. Matthew 24:21 reads, “For then there will be great distress, unequaled from the beginning of the world until now—and never to be equaled again.” Now compare Matthew 24:21 to Exodus 11:6: “And there shall be a great cry throughout all the land of Egypt, such as there was none like it, nor shall be like it any more.” According to Exodus 11:6 there was never to be greater distress than that which was inflicted on Egypt during the plague of the firstborn. Does Exodus 11:6 contradict Matthew 24:21? 22If those days had not been cut short, no one would survive, but for the sake of the elect those days will be shortened. A Full Preterist View and Commentary of Matthew 24:22: What were “Those Days” Which Had Been Cut Short? I believe that the great distress of Matthew 24:21 may refer to the Jewish War itself. If this interpretation is correct, then this distress was, in fact, cut short for a time at Florus’ arrival with the Roman army in Iyyar of A.D. 66. After being met outside of Jerusalem Florus gave orders to his soldiers to plunder the upper Marketplace of Jerusalem and kill everyone they encountered there. 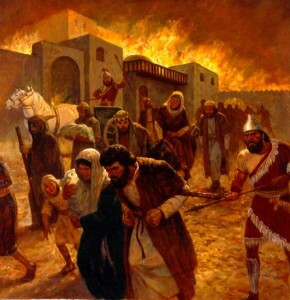 This massacre largely remained localized to the Upper Marketplace and the lanes of the city connecting this area with the Temple. However, Florus was not successful in entering the Temple and soon departed after this slaughter. 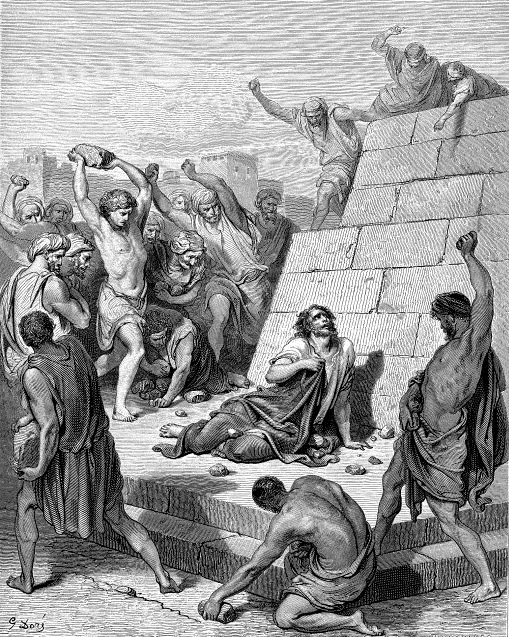 These Biblical and historical facts therefore imply that the great distress mentioned in v. 21 that had been cut short in v. 22 refers to a previous arrival and assault on Jerusalem prior to its ultimate fall in A.D. 70 like Florus’ assault in the Upper Marketplace of Jerusalem in A.D. 66 since the saints were still present in the city at that time. Thus I believe the arrival of Florus’ army outside of Jerusalem in Iyyar of A.D. 66 served as a sign for Christians in Jerusalem to flee the city at that time. And Florus’ assault was cut short at this time for the sake of the elect so that the saints would not meet the same fate as their persecutors. I believe this distress was cut short at this time and then allowed to resume shortly thereafter once the saints left the city beginning at that time. 23At that time if anyone says to you, ‘Look, here is the Christ!’ or, ‘There he is!’ do not believe it. 24For false Christs and false prophets will appear and perform great signs and miracles to deceive even the elect—if that were possible. 25See, I have told you ahead of time. 26“So if anyone tells you, ‘There he is, out in the desert,’ do not go out; or, ‘Here he is, in the inner rooms,’ do not believe it. Matthew 24:23-25 Explained, A Preterist Commentary: The False Prophets and False Messiahs of the First Century . . .
During the first half of the first century there were many false prophets who had arisen in the Roman Empire claiming to have the authority to perform astonishing acts by divine power. According to the church historian Eusebius, when Fadus was procurator of Judea, a man named Theudas led a vast multitude to the Jordan where he promised to divide the river before them. Upon hearing of this, Fadus sent an armed cavalry against them and many were killed and captured.34 At about this time a self-proclaimed prophet from Egypt gathered a vast crowd of common people to the Mount of Olives overlooking Jerusalem. From there he promised that at his command the walls of Jerusalem would fall before them allowing them entrance into the city. However, when Felix heard of this, he sent his army against them and four hundred people were killed and two hundred were taken prisoner.35 In Matthew 24:26 Jesus warns, “So if anyone tells you, ‘There he is, out in the desert,’ do not go out.” Part of the reason Jesus warned His people not to go out into the desert to meet these false Messiahs is because many of the followers of these men were killed or captured there by the Jewish civil authorities. In v. 26 Jesus also warned not to look for the Christ in the “inner rooms.” This warning appears to be directed at Eleazar, a Messianic contender and temple priest who using the Temple as a fortress led a band of temple priests in revolt against Rome. Many of Eleazar’s soldiers were later killed in the Temple in the middle of the Jewish War by a rival Jewish general and Messianic contender. A Preterist Exposition and Commentary of Matthew 24:24: During the Jewish War, many People were paid to Predict Lies in God’s Name . . . Similarly, during the Jewish War, the leaders of the Jewish rebellion compelled a great many people to act as prophets sent by God. These people were coerced to predict that God would deliver Israel from the Romans in order to encourage the people to continue fighting. One such prophet was the cause of the deaths of a multitude. This man made a public declaration in Jerusalem that God had commanded the people to seek refuge in the Temple where they would be miraculously delivered.37 These predictions proved to be false, and these false prophets were collectively responsible for a colossal loss of life. All this happened in fulfillment of v. 24. Covenant Eschatology, A Matthew 24:24 Preterist Commentary: Believed by many to be the Jewish Messiah, Vespasian, the Beast Whose Wound had been healed, cured a Blind Man and a Man with a Withered Hand in fulfillment of v. 24. Caesar Vespasian. 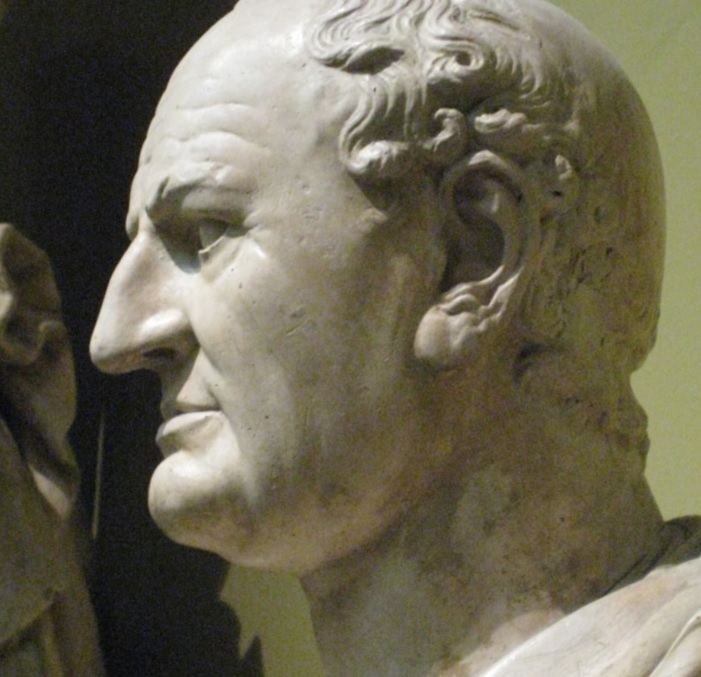 Having restored peace and stability to Rome, Vespasian is the beast whose wound had been healed. 27For as lightning that comes from the east is visible even in the west, so will be the coming of the Son of Man. Fulfilled! Matthew 24:27 Commentary: When God came on the Clouds in Judgment in the Old Testament, the Spirit of the Lord rode Dark Storm Clouds accompanied by Lightning. The Second Coming follows this Biblical and Historical Precedent. He parted the heavens and came down; dark clouds were under his feet. He mounted the cherubim and flew; he soared on the wings of the wind. He made darkness his canopy around him—the dark rain clouds of the sky. Out of the brightness of his presence bolts of lightning blazed forth. The Lord thundered from heaven; the voice of the Most High resounded. He shot his arrows and scattered the enemy, with great bolts of lightning he routed them. In Matthew 24:27, Jesus promises to return in a like manner. The fact that Jesus likens His return to “lightning that comes from the east” illustrates the fact that when Christ was expected to come on the clouds in judgment He was to do so as the Lord had done in the past–riding on dark storm clouds accompanied by lightning. Matthew 24:27 was fulfilled both literally and symbolically in the Jewish War. Fulfilled! Matthew 24:27 Explained, A Preterist Commentary: Lightning struck the Temple around the Time of the Visible Return of Christ on the Clouds at the Start of the Jewish War . . . 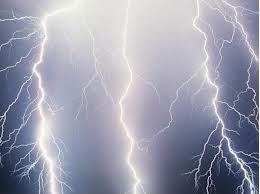 In this brief account, Tacitus, a secular Roman, may have unknowingly recorded the lightning flash associated with the heavenly return of Jesus in A.D. 66. Also notice that “a superhuman voice was heard” literally fulfilling 2 Samuel 22:14. In this v. “the voice of the Most High resounded” upon His coming on the clouds in judgment. This event is also mentioned in Wars of the Jews: “[B]efore sunsetting, chariots and troops of soldiers in their armor were seen running about among the clouds, and surrounding of cities.43 Perhaps the most detailed description of the second coming is found in Revelation 19:11-14. In these verses, Jesus is pictured riding a white horse leading an army of angels on horseback on the clouds. The description of the second coming in Revelation 19:11-14 and Josephus’ account of the army in the clouds over Israel bear an uncanny resemblance. Did Josephus and Tacitus unwittingly record the first appearance of Christ during Israel’s first century war with Rome?44 See Historical Evidence that Jesus was LITERALLY SEEN in the Clouds in the First Century. 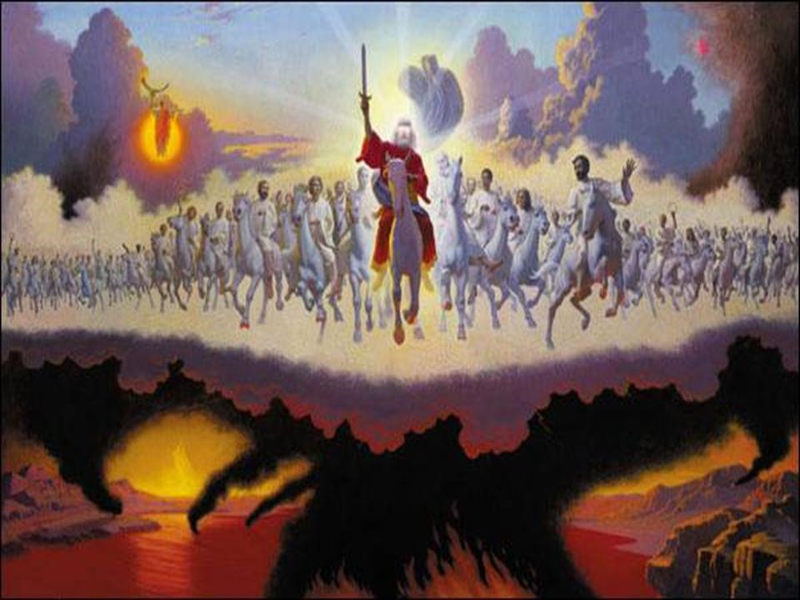 An artistic depiction of the second coming as it is described in Revelation 19. According to Tacitus, “[a] sudden lightening flash from the clouds lit up the Temple.” Tacitus seems to imply that lightning struck the Temple during what appears to be the miraculous appearance of Christ. 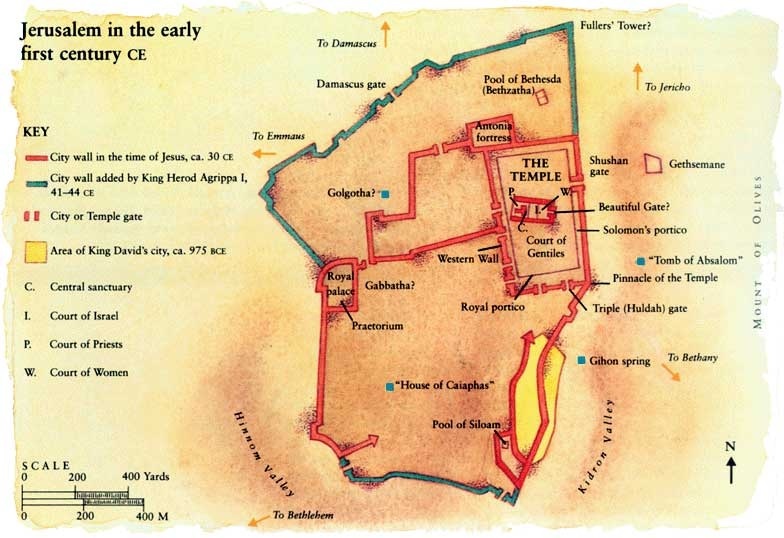 The Temple stood on the eastern edge of Jerusalem. Therefore, if lightning struck the Temple, as Tacitus seems to imply, then this event seems to represent the literal fulfillment of the “lightning that comes from the east” mentioned in Matthew 24:27. 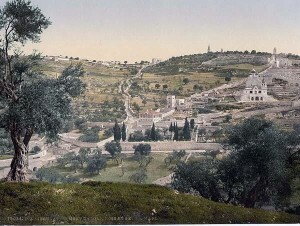 The Temple stood at the eastern edge of first century Jerusalem. 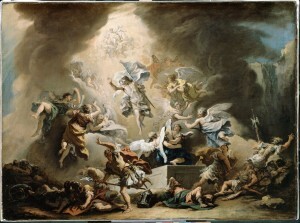 Preterist View–“For as LIGHTNING that comes from the EAST is visible even in the west, so will be the coming of the Son of Man.”: After the Miraculous Appearance of Christ on the Clouds accompanied by Lightning, the 12th Legion drawn from the EASTERN edge of the Roman Empire encamped outside of Jerusalem with its Flags flying high. The Flag of the 12th Legion is a LIGHTNING Bolt. Covenant Eschatology–“For as LIGHTNING that comes from the EAST is visible even in the west, so will be the coming of the Son of Man.”: The Main Ensign, the Aquila, was the Messenger of Zeus that carried Zeus’ LIGHTNING Bolt. The Aquila was the Symbol of Rome. It should also be noted that the symbol of Rome was the Aquila which was also the main ensign that all Roman legions carried into battle. Aquila was the messenger of Jupiter that carried Jupiter’s lightning bolt. Perhaps in this symbol of Rome and its legions one can see yet another way in which the the “lightning that comes from the east”? “For as LIGHTNING that comes from the EAST is visible even in the west, so will be the coming of the Son of Man.”: Heavenly Beings are said to look like Lightning in Matthew 28:2-3. Thus Matthew 24:27 was Also Fulfilled Literally at the Parousia when Christ appeared in a Brilliant, Radiant Form that looked like Lightning. There also appears to be yet another way in which lightning aptly describes the parousia. The army of angels seen in the clouds in Iyyar of A.D. 66 was also recorded by the medieval historian Yosippon who describes this army as horses and riders of fire: “Moreover, in those days were seen chariots of fire and horsemen, a great force flying across the sky near to the ground coming against Jerusalem and all the land of Judah, all of them horses of fire and riders of fire.”45 Here Yosippon describes this angelic army of A.D. 66 in much the same way that angels are described in 2 Kings 6:17, Matthew 28:2-3 and 2 Corinthians 11:14; God is described in Ezekiel 1:26-28; and Jesus is described in Acts 9:3-6 and Revelation 1:13-16 after having acquired a new, glorified heavenly body after His ascension into heaven. It is interesting to note that the angel mentioned in Matthew 28:2-3 is explicitly said to look like lightning: “[A]n angel of the Lord descended from heaven . . . his appearance was like lightning[. ]” According to Acts 9:3-6 and Revelation 1:13-16, after Jesus’ ascension He took on a similar radiant form which also presumably looked like lightning. Thus the fact that the second coming is compared to lightning that comes from the east and is visible in the west seems also to hint at Jesus’ glorified heavenly appearance during His Parousia. Angels are sometimes also described as beings of light according to Matthew 28:2-3. In this verse, they are said to look like lightning. 28Wherever there is a carcass, there the vultures will gather. Fulfilled! Preterist Eschatology and Commentary of Matthew 24:28: The Dead were not buried during the Siege making Them Food for Vultures. As is implied in v. 28 and later in Revelation 19:21, these unburied bodies became food for the vultures. Confirming the fact that the dead of Jerusalem ultimately became food for wild beasts, Kenneth Gentry quotes Josephus as saying, “’[T]heir [the Jews of Jerusalem] dead bodies were thrown to the dogs’ (J.W. 6:7:2) and that some ‘were cast out naked, and seen to be the food of dogs and wild beasts’ (J.W. 4:5:2).”47 But Matthew 24:28 is not just a prediction about carrion birds consuming a dead body. Fulfilled! Matthew 24:28 Preterist Commentary: The Fulfillment of Matthew 24:28 at the burning of the Temple. 29“Immediately after the distress of those days “‘the sun will be darkened, and the moon will not give its light; the stars will fall from the sky, and the heavenly bodies will be shaken.’ 30“At that time the sign of the Son of Man will appear in the sky, and all the peoples of the earth will mourn. They will see the Son of Man coming on the clouds of the sky, with power and great glory. Those who believe in a worldwide second coming often quote Matthew 24:30: “Then will appear the sign of the Son of Man in heaven. And then all the peoples of the earth will mourn when they see the Son of Man coming on the clouds of heaven, with power and great glory.” Some might read this verse thinking that the second coming is a global event. However, the NIV places a footnote after “the peoples of the earth.” In this footnote appears a substitute translation: “the tribes of the land.” The tribes of the land are the tribes of Israel. The Greek word translated “earth” in Matthew 24:30 is ge which can be a global term, though it is often used to specify an isolated city, kingdom or nation—in this case it is best applied to the nation of Israel alone (see In the Bible “Earth” Signifies the Specific Land Addressed While “Sea” Symbolizes Foreign Nations). Matthew 24:29, A Covenant Eschatology Commentary: According to the Midrash, the Sun represents the King, the Moon represents the Sanhedrin and the Stars represent Rabbis. In Matthew 24:29, the sun and moon darken and the stars fall from the sky. These astral omens are very similar to the heavenly signs said to accompany the fall of Judah in the sixth century B.C. (Jeremiah 4:23-26), the fall of Egypt in the sixth century B.C. (Ezekiel 32:7-9), the fall of Babylon in the sixth century B.C. (Isaiah 13:9-13), and the fall of Edom in the sixth century B.C. (Isaiah 34:4-5). And just as various heavenly omens marked a great slaughter at the fall of Judah, Egypt, Babylon and Edom in the sixth century B.C., the same thing is expected to occur at the fall of Jerusalem and Israel at the end of the age. The fact that in v. 29 the sun darkens, the moon turns to blood and the stars fall from the sky are all signs of the destruction of heaven and earth predicted in 2 Peter 3. For a comprehensive explanation of how the expression “the destruction of heaven and earth” is used in the Bible and how this meaning was fulfilled in the first century see The Destruction of Heaven and Earth and the New Heaven and Earth Explained! Fulfilled! A Realized Eschatology Exposition and Commentary of Matthew 24:30: A Sword-Shaped Star representing the Word of God appeared in the Sky just before the Jewish War. At His arrest, Jesus warned, “[A]ll who draw the sword will die by the sword (Matthew 26:52).” This maxim proved true. The Jewish zealots who had taken-up arms against the Romans had, for the most part, died as they lived. However, beneath the surface of this message may be a symbolic double meaning. Fulfilled! Matthew 24:30 Preterist Commentary: Was the Sign of the Son of Man recorded by Yosippon and Pseudo-Hegesippus? Fulfilled! Matthew 24:29-30 Commentary: Whenever God came on the Clouds in Judgment on a City in the Old Testament, He Rode Dark Storm Clouds according to Psalm 18:9-11. These Clouds Darkened the Sun and Moon Fulfilling v. 29. He parted the heavens and came down; dark clouds were under his feet. He mounted the cherubim and flew; he soared on the wings of the wind. He made darkness his covering, his canopy around him—the dark rain clouds of the sky [emphasis mine]. Matthew 24:29-30 Fulfilled in A.D. 66: Immediately after Florus entered Jerusalem with the Roman Army, the Abomination that causes Desolation, and the Romans slaughtered over 3000 People in Jerusalem, Jesus Came on the Clouds of Heaven and the Sun and Moon were Darkened and a Falling Star was Seen Fulfilling Matthew 24:29-30. As explained above, Florus entered Jerusalem with the Roman army, the abomination that causes desolation, and the Romans slaughtered over three thousand people in the Upper Marketplace of Jerusalem in the middle of Iyyar. “Immediately after the distress of those days[,]” Jesus came on the clouds of heaven on the 21st of Iyyar, about a week later, in fulfillment of Matthew 24:29-30. Recording this event, Josephus writes, “[O]n the twenty-first day of the month of Artemisius [Iyyar] . . . before sunsetting, chariots and troops of soldiers in their armor were seen running about among the clouds, and surrounding of cities.”51 As explained above, this army in the clouds is a precise description of the second coming as it is described in Revelation 19:11-14. For a detailed explanation of how this army in the sky LITERALLY fulfills descriptions of the second coming found in the Bible including evidence in favor of the historical reliability of this event see Jesus, the Son of Man, was LITERALLY Seen in the Clouds in A.D. 66. An artistic depiction of the army in the clouds in Iyyar of A.D. 66. 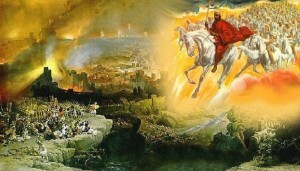 Notice the similarities between this event and the second coming according to Revelation 19. Describing this same event , Tacitus writes, “In the sky appeared a vision of armies in conflict, of glittering armour. A sudden lightening flash from the clouds lit up the Temple.”52 Notice that according to Tacitus, lightning from the clouds marked what appears to be Christ coming on the clouds. Lightning is typically accompanied by dark storm clouds. Did these dark storm clouds darken the sun and moon at the coming of Christ on the clouds as stated in Ezekiel 32:7 and predicted in Matthew 24:29? 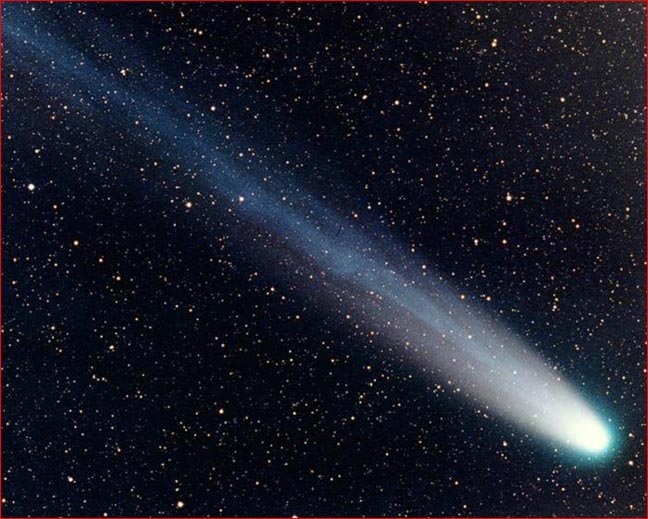 Matthew 24:29 also predicts that at the coming of Christ “the stars will fall from the sky.” The fulfillment this prophecy may also be recorded by Josephus. In The Wars of the Jews, Josephus says that at the start of the Jewish War in A.D. 66, when the army was seen in the clouds, a falling star was seen for a full year: “Thus there was a star resembling a sword, which stood over the city, and a comet, that continued a whole year.”53 Did this comet or falling star fulfill Matthew 24:29? Fulfilled Eschatology and Matthew 24:29: Perhaps the “Distress of Those Days” Mentioned in Matthew 24:29 is the Persecution of the Saints which Immediately Preceded the “End” According to Matthew 25:9-14? As implied above, I believe “the distress of those days” of v. 29 which is said to precede the omens in the sun, moon and stars; the sign of the Son of Man; as well as the coming of the Son of Man on the clouds of heaven denotes the distress that is said to be cut short in v. 22. And as explained above, this distress of those days that had been cut short refers to Florus’ brief assault on the Upper Marketplace of Jerusalem in A.D. 66 which marked the start of the Jewish War and which immediately preceded the various miraculous signs mentioned by Josephus above and predicted in Matthew 24:29-30. Realized Eschatology and Matthew 24:29: Perhaps the “Distress of Those Days” Mentioned in Matthew 24:29 is the Siege of Jerusalem? 31And he will send his angels with a loud trumpet call, and they will gather his elect from the four winds, from one end of the heavens to the other. Fulfilled! 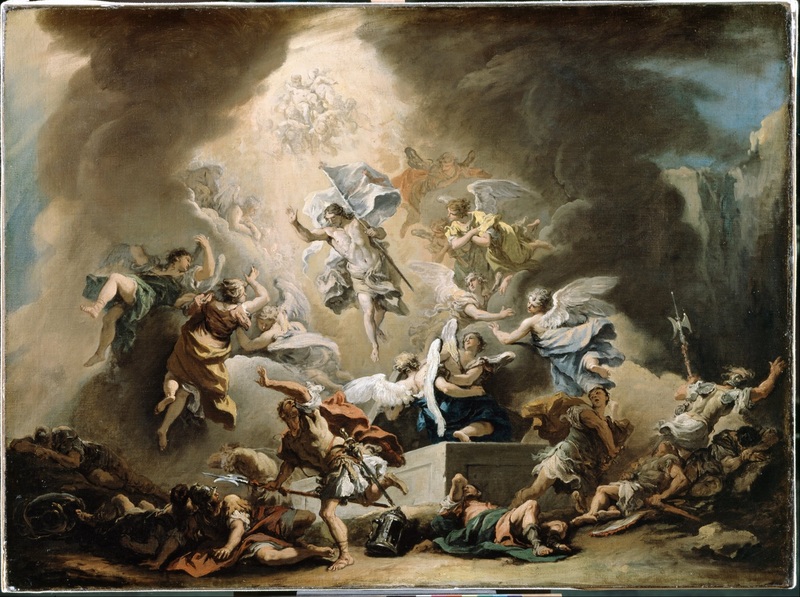 A Preterist Interpretation, Exposition and Commentary of Matthew 24:31: A Multitude of Spiritual Bodies were seen Rising out of the Earth at the Sound of a Trumpet in what appears to be the Resurrection of the Dead, the Year the Heavenly Army was seen in the Clouds. This verse calls to mind 1 Thessalonians 4:16-17 and 1 Corinthians 15:52. These three verses collectively describe the resurrection at the last trumpet. A multitude of spiritual bodies were recorded rising out of the earth at the sound of a trumpet in what appears to be the resurrection of the dead in A.D. 66, the year the heavenly army was seen in the clouds. 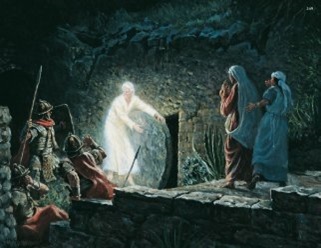 For an in-depth discussion of the resurrection, including the historical evidence in favor of this miraculous event, see 1 Thessalonians 4:16-17 and 1 Corinthians 15:50-54: A Preterist Commentary, How the Resurrection Bodies of the Saints Perfectly Mirror Jesus’ Resurrection Body after His Ascension Into Heaven Fulfilling Philippians 3:20-21 and ALL Other Bible Verses on the Resurrection!! !, and The Notion that the Resurrection is an Earthly Phenomenon whereby the Dead are raised as Perfected, Eternal Earthly Bodies is dispelled by 1 Corinthians 15:35-50 and Isaiah 65:20. The year of the first aspect of the parousia, a trumpet was heard and a vision of many phantoms were seen at what appears to be the coming of Christ in the sky. 32“Now learn this lesson from the fig tree: As soon as its twigs get tender and its leaves come out, you know that summer is near. 33Even so, when you see all these things, you know that itis near, right at the door. 34I tell you the truth, this generation will certainly not pass away until all these things have happened. Fulfilled! Matthew 24:34 “Hyper Preterism” Commentary: “This [First Century] Generation [did] not Pass until all” the Prophecies of this Chapter Literally Occurred! Jesus was correct. As has been shown up to this point, every one of Jesus’ predictions mentioned in this chapter has recorded historical fulfillment within that generation including the sign of Christ’s coming and the mass vision of Jesus’ seemingly visible return on the clouds of heaven. All these events are recorded in the annals of Roman history. For an explanation of the connection between the Hebrew slaves of Exodus and the Israelites at the end of the age see Matthew 23:33-38: A Preterist Commentary. 35Heaven and earth will pass away, but my words will never pass away. The New Jerusalem resembles descriptions of heaven in near-death experiences. Fulfilled! 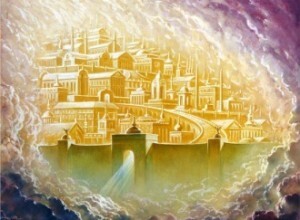 Matthew 24:35 Commentary: The New Jerusalem strikingly resembles Cities of Light often described in Near-Death Experiences. What did Jesus mean when he said that heaven and earth will pass away? The destruction of heaven and earth is often understood to mean that God is going to destroy the whole world and rebuild a perfect world in its place, this not necessarily the case. For a comprehensive discussion of the destruction of heaven and earth and its fulfillment in the first century see The Destruction of Heaven and Earth and the New Heaven and Earth Explained! 36“No one knows about that day or hour, not even the angels in heaven, nor the Son, but only the Father. 37As it was in the days of Noah, so it will be at the coming of the Son of Man. 38For in the days before the flood, people were eating and drinking, marrying and giving in marriage, up to the day Noah entered the ark; 39and they knew nothing about what would happen until the flood came and took them all away. That is how it will be at the coming of the Son of Man. 40Two men will be in the field; one will be taken and the other left. 41Two women will be grinding with a hand mill; one will be taken and the other left. Fulfilled! Matthew 24:40 Commentary: The Implicit Flood Imagery of v. 40 . . .
What is the meaning of this enigmatic statement: “[O]ne will be taken and the other left”? Jesus’ use of the word taken in vs. 39 and 40 implies a kind of washing away as if by a flood. In the Book of Revelation earth is used as a metaphor for the land of Israel and sea represents Gentile Rome. This imagery is not unique to Revelation, earth is often used to denote a specific nation-state while water imagery like sea, waters and flood often poetically symbolize foreign armies. See In the Bible “Earth” Signifies the Specific Land Addressed While “Sea” Symbolizes Foreign Nations. The flood of Matthew 24:36-41 like the floods of Isaiah 8:7-8; Ezekiel 26:3; Jeremiah 46:7-8; 47:1-2; 51:55-56; Daniel 11:10, 40; and Nahum 1:8 represents the coming invasion of Israel by foreign armies at the time of the end. In other words, the impeding Roman invasion of Israel during the Jewish War is symbolically depicted as a flood washing over the earth in Matthew 24:36-41.55 The flood of Genesis mentioned in vs. 37-41 is, therefore, a symbol of the destruction of Israel, the earth, by Gentile Rome, the sea, in preparation for its re-creation as the New Jerusalem in Revelation 21 and Revelation 22. Fulfilled! A Realized Eschatology Exposition and Commentary of Matthew 24:40: Did the Romans Kill and Exile One-Half of the People of Jerusalem? 42“Therefore keep watch, because you do not know on what day your Lord will come. 43But understand this: If the owner of the house had known at what time of night the thief was coming, he would have kept watch and would not have let his house be broken into. 44So you also must be ready, because the Son of Man will come at an hour when you do not expect him. 45“Who then is the faithful and wise servant, whom the master has put in charge of the servants in his household to give them their food at the proper time? 46It will be good for that servant whose master finds him doing so when he returns. 47I tell you the truth, he will put him in charge of all his possessions. 48But suppose that servant is wicked and says to himself, ‘My master is staying away a long time,’ 49and he then begins to beat his fellow servants and to eat and drink with drunkards. 50The master of that servant will come on a day when he does not expect him and at an hour he is not aware of. 51He will cut him to pieces and assign him a place with the hypocrites, where there will be weeping and gnashing of teeth. Fulfilled! Matthew 24:43-51 Commentary: What does this Parable Mean? In the above verses, Jesus tells a parable concerning His return. The servants in vs. 45-51 are teachers, priests and prophets. The servants who had beaten their fellow servants are the teachers of the Law, Pharisees and wealthy elite who tried to kill Jesus and His followers as is recorded in John 11:47-53 and Acts 8:1-3. This wicked generation that had killed the Messiah and His people were ultimately punished during Jesus’ return at the start of the Jewish war with Rome. Fulfilled! Matthew 24 Preterist Commentary: This or That Generation Shall Not Pass? C.S. Lewis “The World’s Last Night,” The Essential C.S. 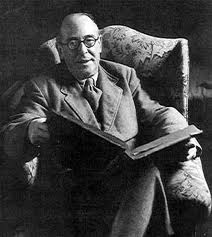 Lewis 1960, 385, cited in http://libertytothecaptives.net/cslewis_fruits.html. (December 2008). Josephus The Wars of the Jews 7.1.1. Bo Reicke, The New Testament Era: The World of the Bible from 500 B.C. to A.D. 100, trans. David E. Green (Philadelphia: Fortress, 1968), 109-110, cited in Kenneth L. Gentry, Jr., Before Jerusalem Fell: Dating the Book of Revelation (Powder Springs, GA: American Vision, 1998), 241. Josephus The Wars of the Jews 4.3.2. James Stuart Russell, The Parousia: The New Testament Doctrine of Christ’s Second Coming, (Bradford, PA: International Preterist Association, Inc., 2003), 70. Tacitus Annals14:27, cited in Kenneth L. Gentry, Jr., Before Jerusalem Fell: Dating the Book of Revelation (Powder Springs, GA: American Vision, 1998), 319. Edward E. Stevens, Final Decade Before the End, (Bradford, PA: International Preterist Association, Inc., 2015), 122-123. Tacitus Annals 15.44.4, cited in Robert E. Van Voorst, Jesus Outside the New Testament: An Introduction to the Ancient Evidence, (Grand Rapids: Eerdmanns, 2000), 42. Grant R. Jeffrey, The Signature of God, (Nashville: Word Publishing, 1998), 337-339. Though early church tradition may not be fully reliable on every detail, it is a seemingly universal belief among early Christian writers that most of the apostles were martyred. Josephus The Wars of the Jews 6.5.2. George E. Kouri and Richard Hogue, The Sign of the Kingdom: The Present Reign of Christ in Light of the Olivet Discourse, (Apostolic Ministries International, 1998), 75-78. Milton S. Terry, Biblical Apocalyptics: A Study of the Most Notable Revelations of God and of Christ, (Grand Rapids: Baker Book House, 1988), 232. Josephus The Antiquities of the Jews 18.5.3. Josephus The Wars of the Jews 2.14.9. Josephus The Wars of the Jews 6.4.7. Concerning Titus’ actions to preserve the Temple see Was Severus or Josephus correct? Did Titus order the Temple to be Destroyed?. Josephus The Wars of the Jews 5.12. I believe Luke 20:21 is the most accurate record of Jesus’ original words during the Olivet Discourse concerning what He told His disciples to look for before fleeing the city. The reason Luke 20:21 probably more likely represents Jesus’ original language regarding this element of the Olivet Discourse is that there is an obvious editorial insertion immediately following the portion of Matthew 24:15 that speaks of the abomination that causes desolation standing in the Temple. This editorial insertion reads, “[L]et the reader understand.” The Olivet Discourse is a record of what Jesus said to His disciples and thus Jesus’ audience were listening, not reading. When Matthew tells the “reader to understand” this is obviously something Matthew or a later copyist added to his account of what Jesus told His disciples on the Mount of Olives. And if this portion of v. 15 was later added to the text it seems possible that the text immediately preceding it may have also been an editorial explanatory insertion especially since Matthew 24:15 appears to be an exposition of Mark 13:14. Mark 13:14 reads, “When you see ‘the abomination that causes desolation’ standing where it does not belong—let the reader understand—then let those who are in Judea flee to the mountains.” When Mark tells his readers that the abomination that causes desolation was to stand where it does not belong, he was likely echoing Luke 21:20 by saying that the Roman army was to stand outside of Jerusalem as this army with their idolatrous ensigns were a violation of the Law of Moses and were not permitted in Judea. As stated above, Josephus says in Antiquities of the Jews that the Jews would not permit the governor of Syria to pass through Judea with the Roman army because the Jews were not permitted to gaze upon their ensigns (Josephus The Antiquities of the Jews 18.5.3). Thus when the Roman army arrived outside of Jerusalem it was “standing where it does not belong.” Perhaps when an early scribe copied Matthew 24:15 he parenthetically inserted his belief that the Romans would stand in the Temple since this is what Daniel 9:27 and 2 Thessalonians 2:4 indicate and later scribes passed on this insertion in subsequent copies? Kenneth L. Gentry, Jr., Perilous Times: A Study in Eschatological Evil (Texarkana, AR: Covenant Media Press, 1999), 66 cited in Don K. Preston, Like Father, Like Son, On Clouds of Glory, (Ardmore, OK: JaDon Management Inc., 2010), 216. John L. Bray, Matthew 24 Fulfilled, (Powder Springs, GA: American Vision Press, 2008), 93-94. Josephus The Antiquities of the Jews 20.8.6. Suetonius Lives of the Twelve Caesars 10.4. Josephus The Wars of the Jews 6.5.4. For an in-depth discussion of this historical event see Revelation 19: A Preterist Commentary. Dr. Kenneth L. Gentry, Jr., He Shall Have Dominion: A Postmillennial Eschatology, third ed. (USA: Apologetics Group Media, 2009), 405. Sepher Yosippon (A Mediaeval History of Ancient Israel) translated from the Hebrew by Steven B. Bowman. Excerpts from Chapter 87 “Burning of the Temple” cited in http://fulfilledtheology.ning.com/forum/topics/historical-records-with-some (11/13/2014). Pseudo-Hegesippus, Chapter 44. (Translated from the Latin by Wade Blocker. This excerpt taken from the Latin edited by Vincente Ussani): cited in http://fulfilledtheology.ning.com/forum/topics/historical-records-with-some (11/13/2014). Many preterists believe that Rome persecuted the Christian saints under Nero beginning in A.D. 64 for three and a half years in fulfilment of Revelation 13:5-7. However, there is no historical evidence that Nero’s persecution lasted this long. 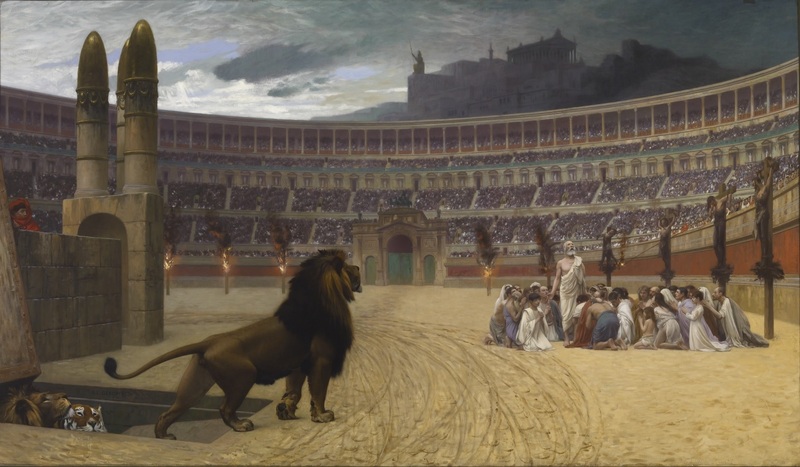 Most historians believe this persecution was brief and was likely to be long over by A.D. 66 when Palestine revolted against Rome. See the commentary on Revelation 14:19-20. 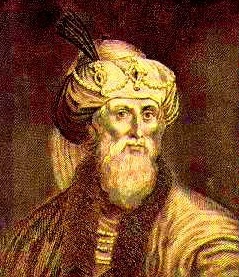 Josephus says that the surviving citizens of Jerusalem were allowed to stay in the metropolis after the conquest of the city in A.D. 70: “Only the citizens [of Jerusalem] were allowed to remain [in the city]; all the rest were sold, along with the women and children for a trifling price per head, as supply was far in excess of demand.” (Josephus The Wars of the Jews 6.8.2.) The Romans began their siege of Jerusalem on Passover. During this holiday, Jews from all over the world converged on Jerusalem. Josephus says that 1,100,000 Jews were killed during the siege of Jerusalem and that the majority of these casualties were not citizens of the city. Josephus also says that the Romans exiled 97,000 people during the entire course of the war. (Ibid., 6.9.3) This is exactly what one would expect. Visitors to Jerusalem would likely only carry as much money with them as they felt would be necessary to travel to and stay in Jerusalem during the week-long festival. These travelers would be the first to run out of money and subsequently perish from the rising cost of food as a consequence of the famine induced by the siege of the city. In contrast, the citizens of Jerusalem profited greatly from the Passover celebration, and they would also be more likely to have had access to their savings since they lived in the city. Charles S. Meek, Christian Hope through Fulfilled Prophecy: Is Your Church Teaching Error about the Last Days and Second Coming?, (Spicewood, TX: Faith Facts Publishing, 2013), 230. I appreciate the research which has made this commentary possible. As a former dispensationalist I really enjoy reading the Biblical view. Thanks for a job well done.